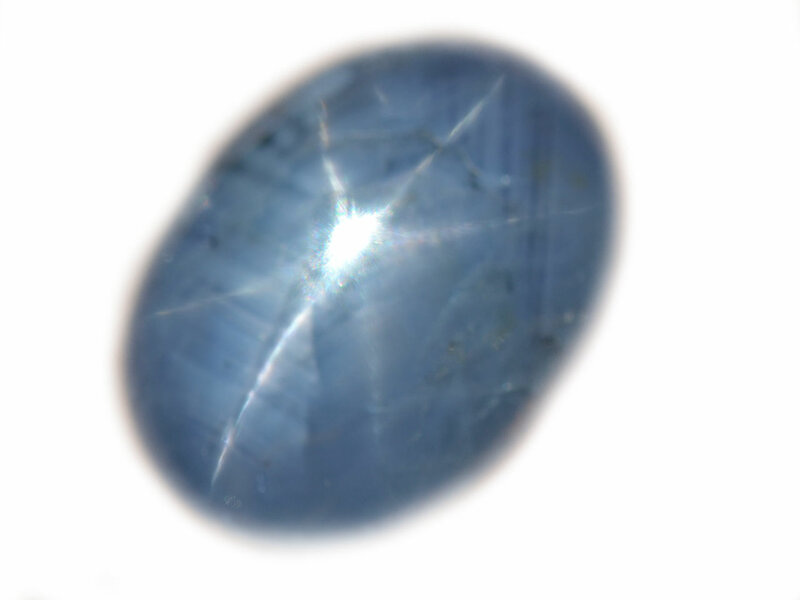 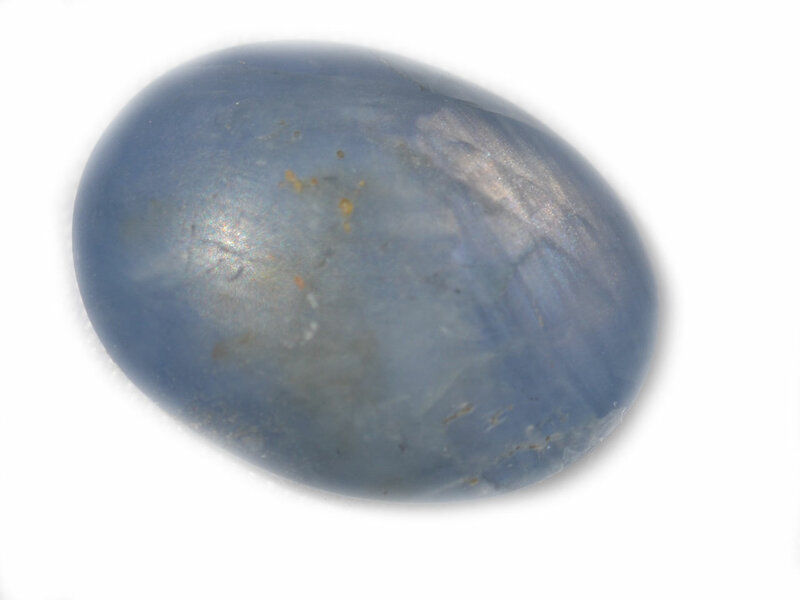 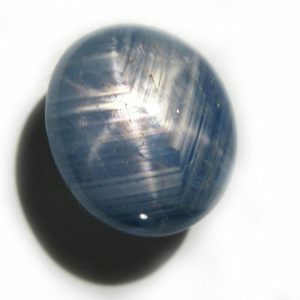 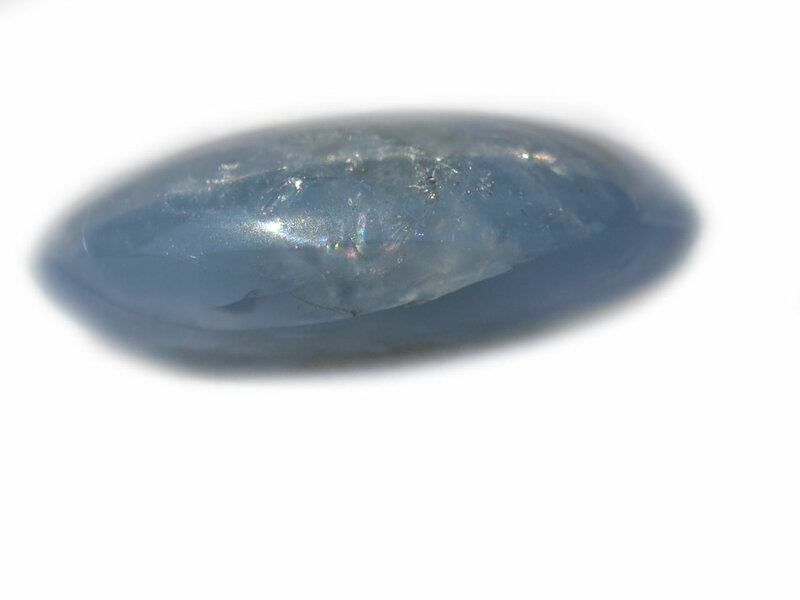 Bright sky blue color on this translucent star sapphire from Burma. 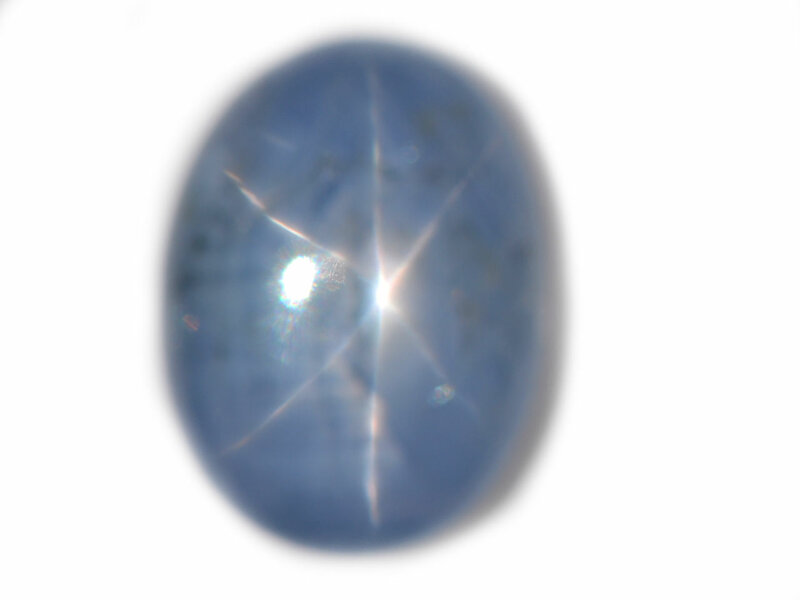 Nice star as well. 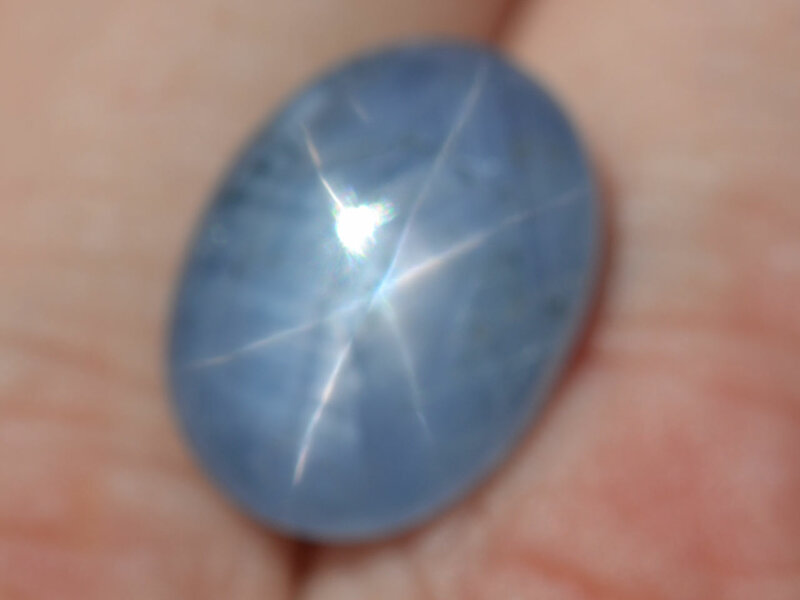 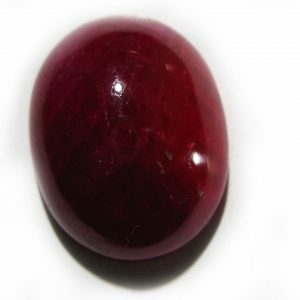 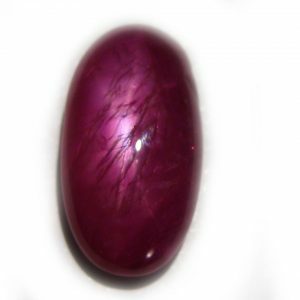 Lovely example of a untreated natural star sapphire. 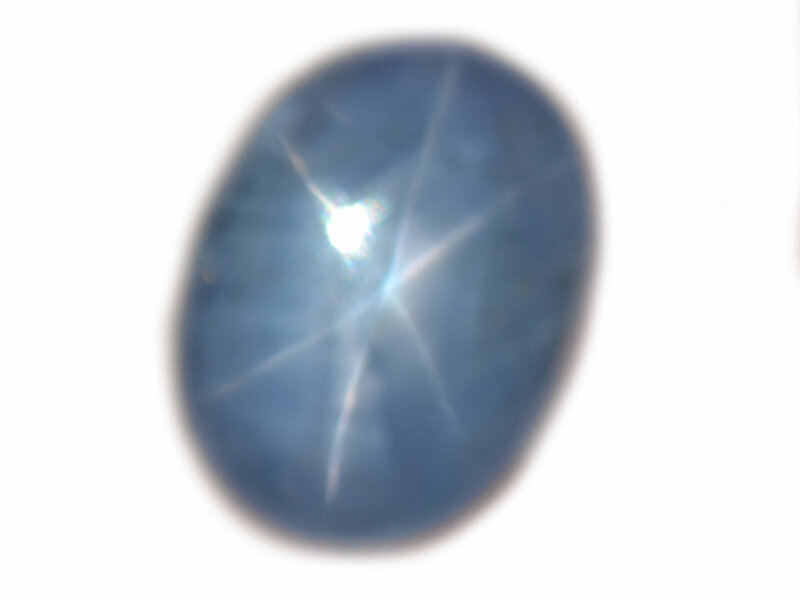 This star shows 6 nice rays on its heavenly blue body. 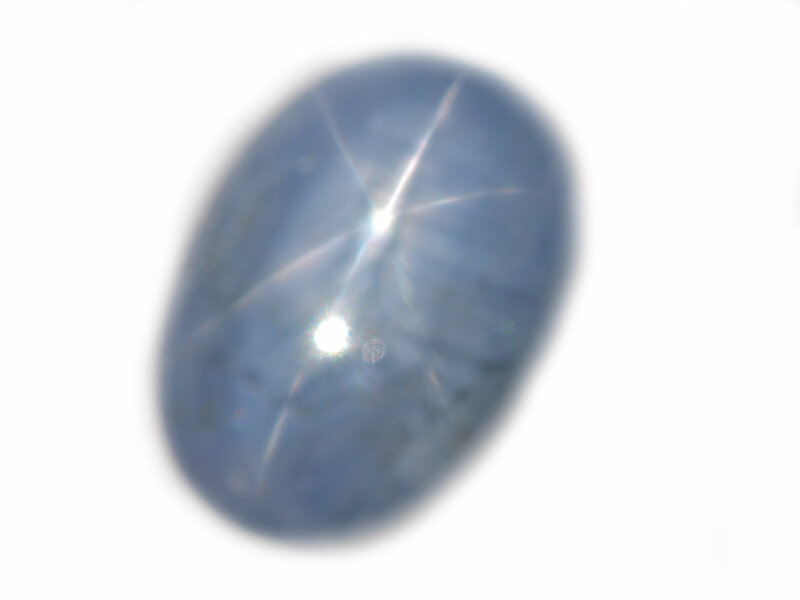 The body of this stone is almost transparent, a rarity considering the star still shows nicely under direct light.